Home>Intellectual Infrastructure, Management, Meet Our Staff>B. Duane Dombek, Ph.D.
Duane Dombek currently serves as MATRIC’s Director of Product and Process R&D. He directs and manages MATRIC’s research projects and research staff. He has over thirty years of experience in alternative fuels, feedstocks and homogeneous / heterogeneous catalysts. Dombek previously worked for Union Carbide Corporation, where he managed research on routes from syngas to chemicals, which continued through several successful contracts with the U.S. Department of Energy. He served as Program Manager and research supervisor for these contracts for 10 years. At the same time, he became a Group Leader in the Catalysis Skill Center, a section of R&D that carried out projects for all of Union Carbide’s divisions and many of its business areas. Several new catalysts were developed and commercialized during this period. Dombek helped develop portfolio techno-economic-chemical-design-technology-improvement work processes and systems for initiating and approving new R&D projects, evaluating existing and potential projects based on economic, technical, and market potential, and allocating resources accordingly. He served as Senior Group Leader in the Catalysis Skill Center at the time of the merger with Dow Chemical in 2001. He then accepted a position as Knowledge Management Leader for Dow’s Global Chemical Sciences Capability. 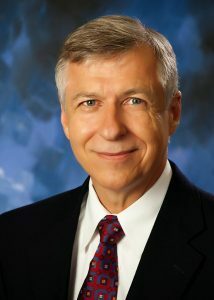 Dombek is the author of 30 refereed technical publications and an inventor or co-inventor of 20 U.S. patents.